It is three years since the Volkswagen emissions scandal but controversy continues to mire diesel engines. Greenpeace air pollution campaigners and medical professionals have blocked more than 800 Volkswagen staff from entering the company’s head office in Milton Keynes. Greenpeace is demanding Volkswagen commit to stop producing diesel cars and go 100% electric. Sales of diesel engine cars have plummeted in Britain (down 29.6% so far this year) and the latest revelations from Which? will do little to restore consumer confidence in a technology that those in the automotive industry insist is far cleaner than many imagine. Which? 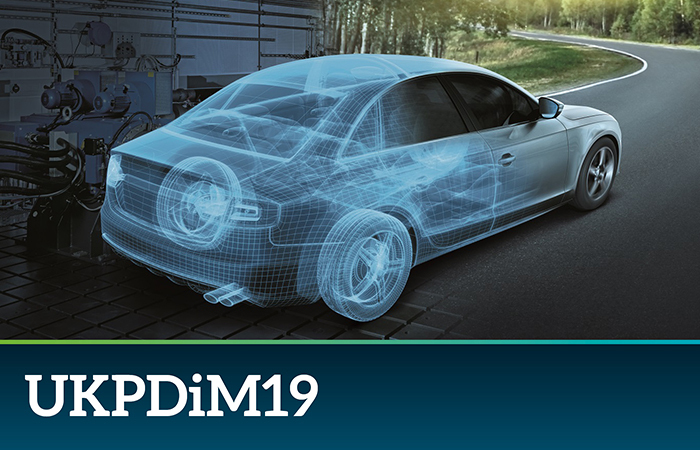 published a report on 61 modern diesel cars it has tested since 2017 and found that in real-world conditions 47 of them exceeded the Euro 6 limit of 0.08g/km of NOx despite claiming to conform to industry standards. As reported last week, on average the cars tested produced 0.27g/km of NOx, which is nearly three and a half times the existing official Euro 6 limit. Certain BMW and Mercedes diesel models were found to emit between 0.014 and 0.031g/km, indicating that technology for ‘clean’ diesel exists but is not making its way into most vehicles, or isn’t being integrated correctly. 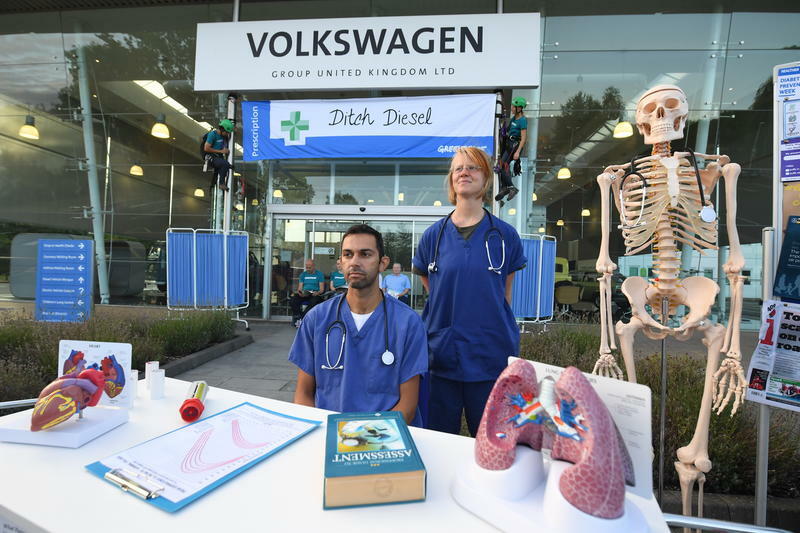 Volkswagen’s UK HQ was then targeted by Greenpeace where activists and medical professionals blockaded the front of the building and set up a diesel pollution clinic in light of the growing body of evidence linking air pollution to respiratory problems. There was a time when consumers bought diesel cars for their fuel efficiency and relatively benign effect on the environment, but the reverse appears to be true in 2018, so what’s the best way to address the problems associated with diesel? 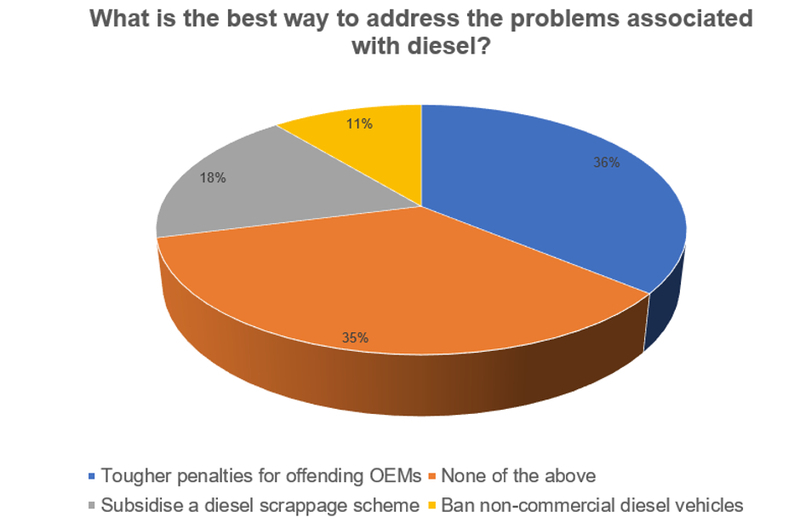 Of the 665 respondents to last week’s poll, 36 per cent agreed that there should be tougher penalties for offending OEMs, closely followed by 35 per cent who chose the ‘none of the above’ option. Just under a fifth (18 per cent) thought a subsidised diesel scrappage scheme would help, and the remaining 11 per cent thought there should be a ban on non-commercial diesel vehicles. Of course, the discussion around diesel goes beyond cars and we continue to welcome your thoughts on the issue, particularly how they relate to HGVs and trains. How about banning commercial diesel vehicles, since most of these will be older, will exceed emissions limits for cars by some way, and spend more time idling in towns and cities where the emissions can do most damage. Do aged cars actually still pass? Is the standard the right standard? Why the ‘cliff edge’ when all emit CO2, etc. What will next year’s punch-bag be? Electric cars and their batteries are not pollution free. The problem isn’t diesels, it is the large numbers of unnecessary private vehicles (of any power source) in cities. A massive investment in free bus networks, trams and cycleways, and a move away from out-of-town retail developments are the way to deal with the whole problem, rather than just tinkering with some of the symptoms. Ban non-commercial vehicles. It will force the industry to accelerate clean tech innovation. Those who believe VW is the ‘chief offender’ are deluding themselves! Anyone who uses the UK’s roads will see diesel vehicles of ALL makes belching out visible fumes. First post here by Steve clearly knows nil about commercial vehicles….latest large HGV’s have the most up to date emissions controls available, also they don’t idle for long – the engine controls ensure this. Ian Bennett – yes the main problem is diesels and the emissions they give out. Before anyone gets all precious about emissions free electric vehicles can someone establish their pollution foot print? They are zero when driving but what pollution doe they cause during manufacture? Steve said that most commercial vehicles are old ones and so will not have the latest emissions tech. It’s also important to consider the pollution caused by vehicle tyres due to friction with the road surface, this is not insignificant. Maybe I’m just old, 60 is coming up in a few years, but I remember when the buildings of my city were blackened with soot, the trains ran on coal, and every house had a plume of smoke rising from it’s roof. By comparison modern cities are incredibly clean places to live. Electric vehicles are an idea, but that just moves the generation plume to the big power stations, and the vehicles them selves aren’t really up to the task yet. On Sunday I am going on holiday, my 12 year old diesel will cover 200 miles in one trip, and a week later bring me home, all on one fill up that takes only five minutes, show me an EV that can do that for less than £3000. With you on the electric car front……..none are within the budget you state, but they claim to do 200+ miles on one charge. Wouldn’t want to bet on what they will do when 12 years old…..remember the iPhone battery life ‘scandal’ of few months ago. Not true the greatest polluter in cities is the heating systems for the buildings – MASSIVE volumes of SOX and NOX are emitted by these systems – we need to shift focus to the actual SOURCE and cut through the blame levelled by the people who have NOT done their home work!!!! no “answer” which can suit everyone. Seen in the past–when it was impossible to envisage an alternative for commercial vehicles– the past has now caught up with us, in a big way. At least they no longer belch out black smoke from badly adjusted injectors, but where we go from here is something simple legislation cannot cure, finding a power source with range and the power to haul artic. sized loads over sensible distances. We have come a long way from the days of so much “smog” in London that traffic could not move and serious health problems–mainly from coal, accepted, but it concentrated minds and led on from there. Rail might supply a part answer, but extending the rail system to make that workable would surely meet with howls of protest from affected areas–re-nationalising the network would be the only answer to the sums involved-the only rail area which works to a reasonable cost is the State owned, as I remember. “” Following the recent rail-fare hikes, a commuter from Brighton to London on £27,200 a year will be spending 17 per cent of their salary on a monthly season ticket””. A hybrid with a diesel running at optimum setting would easily meet the emmission standards. The IC engine would be run intermittently, as necessary. The diesel engine power rating would be smaller than the normal diesel-alone rating. This solution would cost more but give us cleaner air than available at present. Above all, it would allow easier regulation of IC emmissions. The diesel engine on constant speed and constant load produces almost zero emissions (Cummins). When such a unit is integrated into a hybrid, the diesel power can be about 30% of the diesel only solution. All of the basic technology is available. Jack Semples comment about stop/start is on similar lines. The latest reports, via Which, are the latest of several waves of reports of tests of not-the-latest diesel cars being dirty. These reports were news a year ago but now simply mislead. The question is whether the latest diesels, built to meet a tougher regulatory test applicable to cars sold from September 2017, are clean. The car industry says they are – is the industry’s claim true or false? I have not seen evidence addressing that. In the Which test, done before Sept 2017, 14 of the 61 cars tested met the standard. Possibly these were to post-Sept 2017 spec but that is not reported. Meanwhile Euro VI  has proved the solution for HGVs, not a further problem. HGVs have been performing to standard in real-world operation since Euro VI introduced. As a result, HGVs’ share of UK road transport NOx is tumbling, down from 21% in 2014 to 13% in 2016, according to DfT stats. By way of a PS, road trials of articulated lorries operated by Howdens and others, supported by InnovateUK, may have great value. 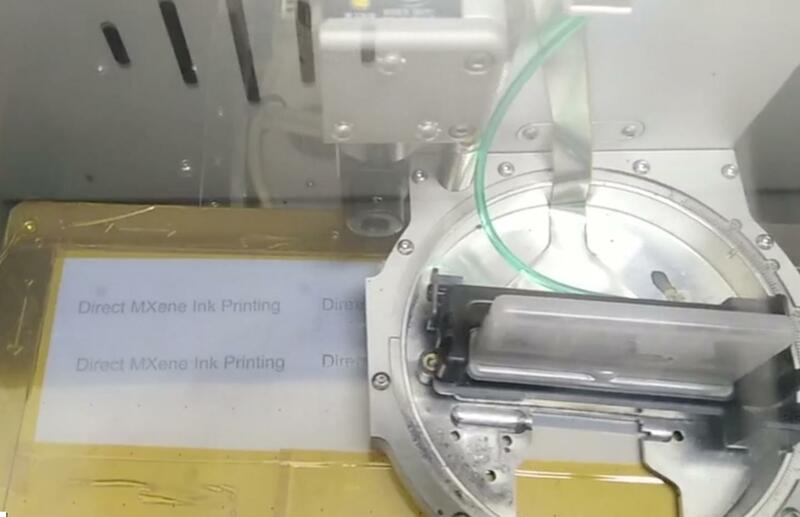 Graphene ultra-capacitors are being used to drive the truck drive axle and one trailer axle to get the vehicle moving, so that the engine is off when stationary – similar in function to Stop/Start. This should in due course assist development of hybrids in both trucks and buses by reducing peak load on the battery drive and prolonging battery life. Your comment about stop/start is a way of getting the emissions down. This can be taken a lot further by the fact that the diesel engine on constant speed and constant load produces almost zero emissions (Cummins about 5 years ago). When such a unit is integrated into a hybrid, the diesel power can be about 30% of the diesel only solution. All of the basic technology is available. It needs a collective will to get away from the idea that a large IC unit gets high performance. We are only the customers. I agree. There is an on-road trial using graphene ultra-capacitors on the drive axle of the truck and one trailer axle, used to get the vehicle rolling, which will reduce load on the battery and increase battery life. Backed by InnovateUK and involves vehicles operated by Howdens. Technology also useful for buses. Cars will meet Euro 6 following the specified procedure but not in real world driving. What makes you think HGVs are any different? It should be made impossible for a car to exceed the legal emission limits. The same for plug-in hybrids sold as achieving 150mpg equivalent. If it doesn’t achieve 150 each month then no tax break. Various people have tested Euro VI trucks (and buses) in real world operation and found that they perform to standard. Point has been made by various bodies, including TfL, the toughest regulator in Europe, which did its own tests. The Euro VI standard test was much tougher than for cars, until the car test was tightened a year ago. Here’s a really stupid idea, why don’t the varicose councils and government departments work on schemes to get the traffic moving in towns and cities, I know REALLY stupid. Varicose; swollen, twisted. Possibly an apt adjective. This is not a simple problem to cure. Burning anything to create energy releases emissions, whether they are fossil fuels (cars etc) or word chip (power stations for electricity. Engines will only be “efficient” when run at the optimum speed/acceleration and when they are serviced regularly. “Belching” diesels are a classic case of the above. Hybrids will help, but we are still in the infancy of this system. Filtration of the particles will also help, but will soon block if not serviced/cleaned on a regular basis, just like the engine. With vehicle life now being longer than when I started driving in the later 1970’s then how long will it be before all cars are replaced with Euro Cat VI compliant engines. That’s if they pass the test following 10 – 20 years of usage. If you want to clear the smog from cities etc, stop building tower blocks to trap in the smog, restrict building upwards to allow the wind to disperse the pollutant. In our overcrowded cities we cannot do this either, hence my opening comment, ” this is not an easy problem to solve”. Concerted effort by all into all forms of pollutant reduction, efficient public transport etc has to come from joined up thinking which is non-existent at them moment, just knee jerk reactions to the this and the next problem. We love our cars, our roads are not designed to be shared with bicycles, buses link through a hub with very few circular routes around our towns and cites, industrial and commercial zones are on the outer edges of our cites with little direct public transport. Try getting from Preston to Manchester airport by train to catch a 6.00am flight, after using a taxi to get to the train station. As the article states, there is a case for the diesel vehicles that comply with legislation. There is no reason why they should be removed from the roads, however OEMs who are “defeating the system” should be prosecuted purely because of the consequent adverse health effects. I believe that if the technology is there it should be used and fraudulent companies persecuted. It is notable that this is all about big cities and for large swathes of the country there is no alternative to diesel HGVs and affordable cars (i.e. no reasonable public transport or rail infrastructure). And it is not clear that British Rail (if it was raised from the dead) or Network Rail could care less about the country’s infrastructure; is there a department for infrastructure that looks at the economic needs of the country (for transport) cf HS2 ? Spot on. There is no evidence of strategic spatial planning and transport activities in Britain yet the two are intimately entwined. Mega projects such as HS2 are irrelevant for much of the country . Ditto metropolitan based schemes (CrossRail 1&2). Perhaps there is a real need now for public transport not to be viewed as a commercial activity but an integral component of infrastructure. Standards of provision, reliability, safety and security need to be fundamentally re-addressed and enhanced. Commercial vehicles need the high torque available from diesel engines. Prior to diesel they used to use petrol and at a horrific rate too. Modern petrol engines tend to be high revving which is unsuitable for heavy loads. OEMs should be fined heavily and required to pay compensation if they break the rules or regulations. Use appropriate power units for the use the vehicle is put to. Higher taxes on diesel and higher taxes on cars that have high emission will regulate that problem from the economical side. that is the way to go. no bans but good working regulations. on the other side with that taxes the infrastructure to build charging stations for electric cars can be financed or the tax loss of electric cars can be financed with that. it is not a problem when one car is dirty – like oldtimers – but it is a problem when millions of cars are dirty. so that needs to be adressed in a fair way. Part of the problem with Which is that it probably followed a different test protocol and procedure, and that was in fact more likely to be realistic. The problem with this is such testing will not necessarily produce consistent or even replicable results. Instead of using such a manufacturer favouring test regime perhaps real-life averages over several months from different users and drivers would give more meaningful figures. It is all very well politicians and their officials producing some pie-in-the sky arbitrary limits but they have fit in the real world and in such pragmatism rules. So manufacturers will design things and train their testers and systems to match the political limits. Remember back to the 30s, 40s etc when road tax was based on the surface ares of the piston, and the result was that engines were produced with long strokes! … and Reliant producing a three wheel car – a terrible idea from a safety point of view – because it was legally classed as a motor cycle side car combination! It’s little-known but slightly amusing fact those huge three-wheeled “motorbikes” you sometimes see grizzled leather-clad old bikers riding are based on a Reliant Robin chassis. 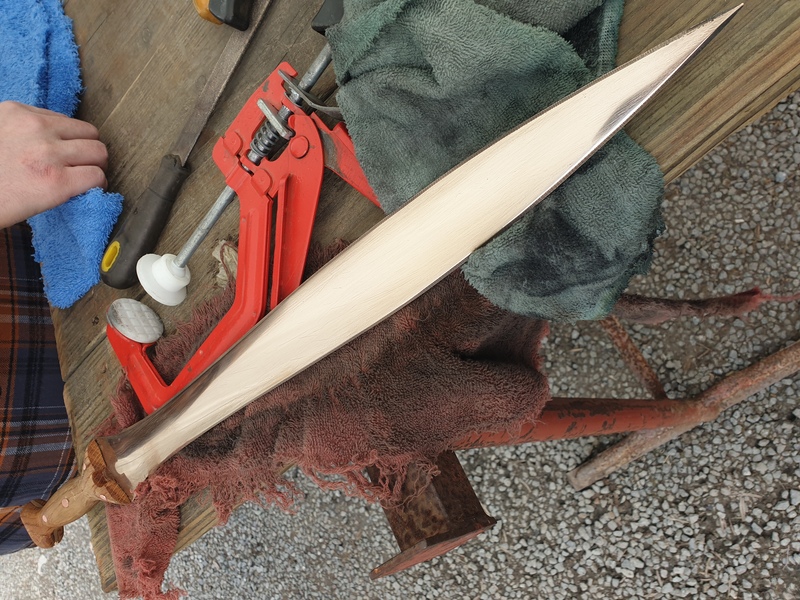 Billy Connolly used one in one of his Grand Tour series. Using taxes as a way of changing behaviour is completely the wrong solution. Consumers don’t really have any choice (other than not take part of course). The tax is not paid by the manufacturers or designers so they have no direct incentive to make any changes. Eventually it may change things but in the meantime the real reason why taxes are liked by governments is that it gives them more income. A simple rule with energy is what comes in = what comes out so by moving to electric, it still is burning something somewhere unless your sitting next to a wind turbine or nuclear reactor so you move the problem out of the city. if you walk down the embankment in London, its tipper lorries and buses with a sprinkling of taxi’s. commercial vans delivering amazon and a few cars of which diesels are minor. we cant ban commercial and alternatives using electric are a long way off for moving 40 tonne around cities. is it time for a complete rethink in cities as to how to get around, Trams, Electric buses but our need to build more will keep the lorries in place and the commercial vans delivering small boxes to work places for the convenience. Could commercials pick up off the tram energy source to drive their systems? The question above is too simple and Binary as Diesels are very efficient compared to other forms and especially good on open roads. Have we finished cleaning up the emissions on Diesels? are other fuels being developed that will support diesel and remove emission problems. Conclusion; our cities need a complete re think for their future for all forms of transport, bikes, electric bikes, walking, electric commercials including looking at goods on underground systems so we no longer need to bring cars nearer than out of town parking?? finally, we need clean electrical energy in quantities that satisfy our needs to consume transport energy. Secretary State Grayling has stated in the past that he wishes to see the total phasing out of diesel cars and commercial vehicles, to be replaced by electric vehicles. On the other hand however, some planned rail electrification schemes have apparently been cancelled and so-called “bi-mode” technologies (i.e. electric trains with DIESEL engines) are being hailed as the future. Perhaps battery technology should be the way forward. This was a classic case of left and right hands at odds and a Secretary of State believing in untried and untested propulsion options for long distance fast trains. The bi-mode option was a classic case of the DfT getting its own way and forcing the IEP option top validate their involvement in specifying this kit. Surely the train operators should be free to select and acquire the sort of trains they need (they take the commercial risk) and not some bureaucrat at several removes from the market imperatives. When it comes to clean commercial vehicle technology, diesel is really the only game in town. New technology diesel engines that power these trucks are near zero emissions in the lab and, as recent research confirms, near-zero emissions in real world driving conditions as well. Before anyone gets all precious about emissions free electric vehicles can someone establish their pollution foot print? They are zero when driving but what pollution [do] they cause during manufacture? Not to mention pollution at the source of the energy. Diesels can be cleaner. It just costs. The real disaster is when politicians try to pick technologies rather than set pollution targets. “Buy a diesel car” they all said. “Don’t buy a diesel car,” they all said. and repeat with the left foot. Politicians are about the worse people to make decisions, but unfortunately think they know best. If there was ever an antithesis for science and truth politicians are it. its sort like the old song/dance – You put your left foot in and shake it all about, you put your right foot in and shake it all about. I have seen some good comments. The need for an integrated transport infrastructure for the WHOLE country seems an implication but is there a government that believes that the country needs national infrastructure (as the Tories did for setting up the Electricity Grid) – not just for the few (big cities). Please tell me there is a department that considers infrastructure rather than one that supports big projects for companies. I know I would trust the World Health Organisation ahead of a self interested research by the diesel manufacturers, and Diesel Technology Forum. Here we go again with so called greens jumping in with their ‘rich Daddy environmentalism’. First the decision to promote diesel over petrol was a good decision for the planet (ok not so good for some humans) – CO2 and global warming is a more serious issue than air pollution for both the planet and our own survival as a species. As a species we can survive with shorter life spans etc, but full on global warming is a different matter. Add to that Diesel is getting cleaner and only a matter of time before we move to alternative fuels. Not convinced that moving to electric is the best solution (good stop gap maybe) unless battery technology real changes. 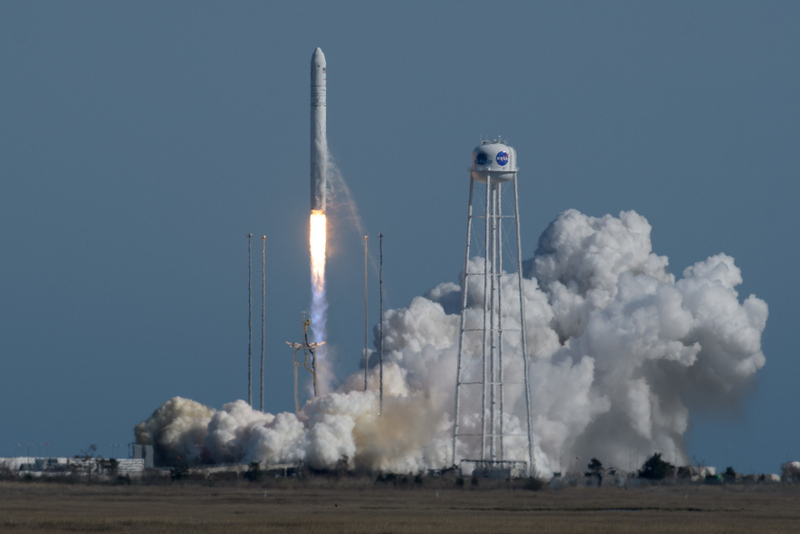 Clean Hydrogen based fuels are a lot better bet for the future, quick refueling and produced from green electricity, but guess the blinkers are now on! We use typically around 500TWh of energy each year on fossil fuelled transport. Move to electric and we have to have that much additional generating capacity (at least 60GW) available most of the time. And we have to change our thinking on ‘refuelling’ given that most current batteries cannot be charged at greater than around 150KW per hour. Which immediately means very long recharge times, which will effectively prevent in practice more than one charge cycle per day. And think of the instantaneuous power required at all charging stations, of which there will need to be several orders of magnitude more installations than at present. All electric is HUGELY impractical for these reasons and exacerbated by the need to shift 40 tonnes around on lorries to service the economy. A typical lorry will use around 10KWh to travel 3 or 4 miles! The problem has been that the diesel motor manufacturers have spent far more resources on falsifying test results, than trying to clean up the pollution of diesel motors. Or may be they have realised that they cannot clean up the diesel engines. The real issue is the future, spending money on old technology, with the increasing shortage of the available fuel, which is only going to increase in cost with supply and demand, while the electric motor in automobiles may not be perfect, the availability of electricity will always be available, and with increases in renewable energy, micro wind and solar, the cost will be reducing. Common sense tells us to invest in the future and spend the time and energy on electric automobiles. I’m astonished that people consider THEIR transport needs (Google can explain all anyone needs know)over the health of others. There are plenty of places online that reveal the average weekly commuting mileage is easily achieved by present electric vehicles on ONE charge. Get the privately owned cars off the roads(our largest employer has 1000’s commute in/out 5 days a week sat alone in their car)unless they’re carrying 4/5 passengers,this would instantly reduce the huge volumes of traffic jammed into cities/large employers wouldn’t cause road chaos,etc. you are not from Yorkshire, by any chance … ? How about the post office delivering all parcel and letter post again instead of multiple operators running around with individual parcels. The postman has a round he delivers letters to each day it would save a lot of pollution. One van instead of multiple vans running around to deliver to the same address.